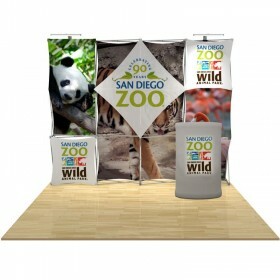 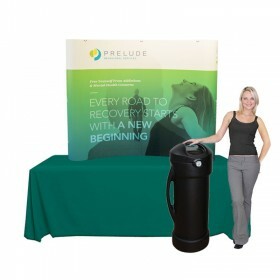 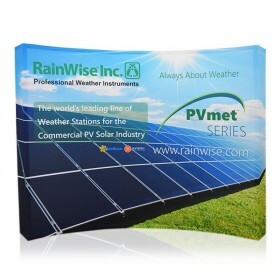 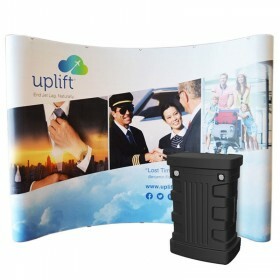 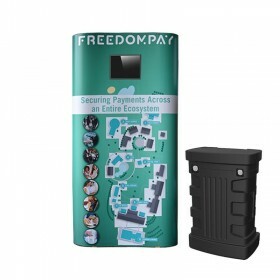 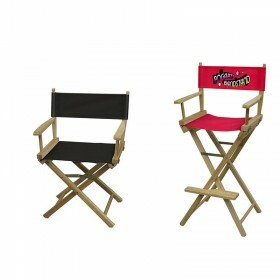 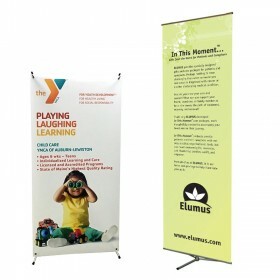 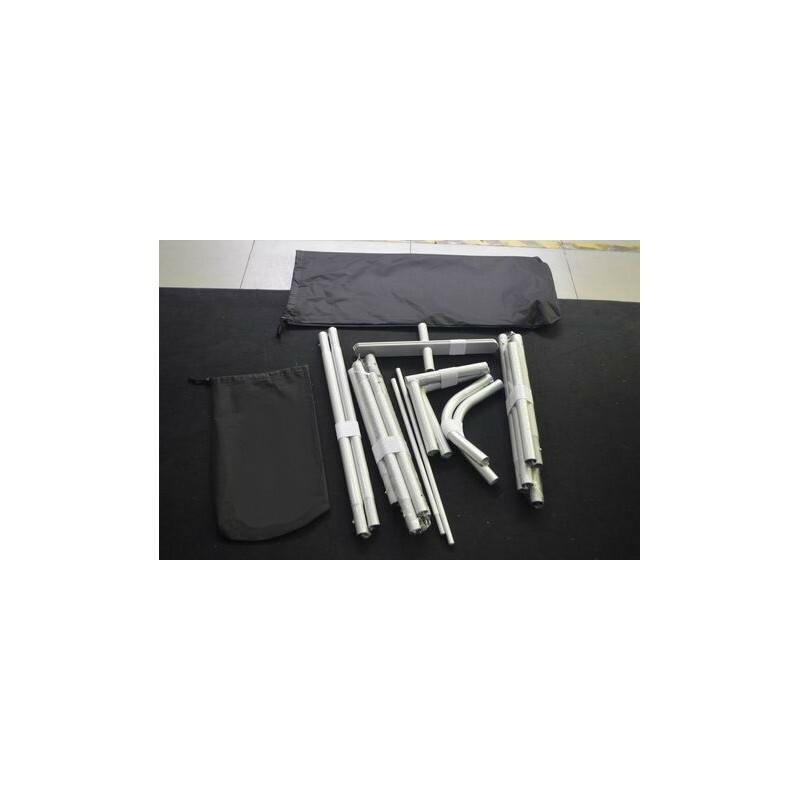 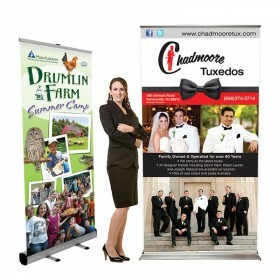 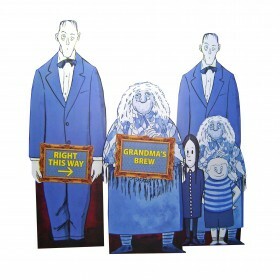 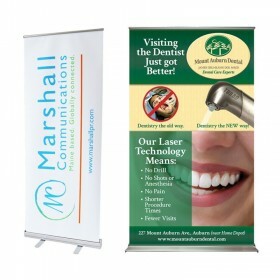 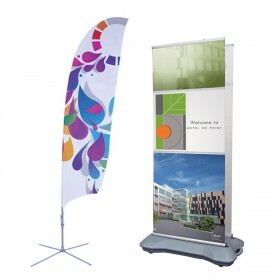 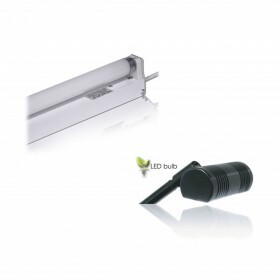 Complete kit includes bungee-corded aluminum frame tubing, custom printed stretch fabric graphic and carry bags. 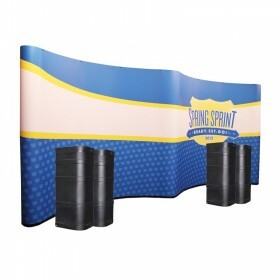 Overall setup size: 110.7” wide x 96.3” high. 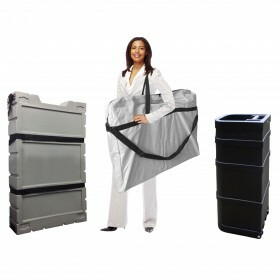 Weight in bags approx: 25 lbs. 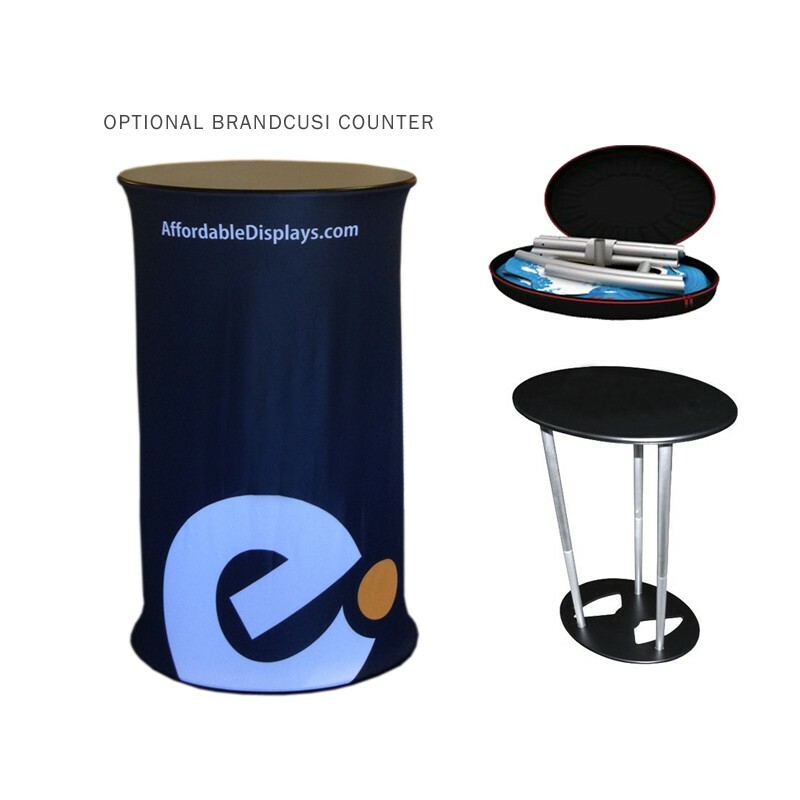 *Lights & counters not included. 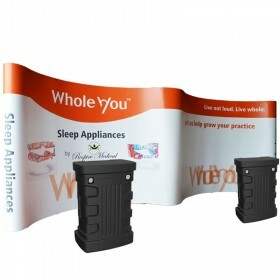 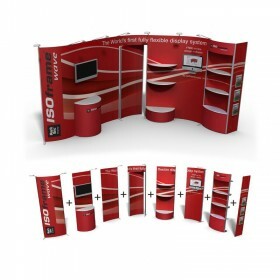 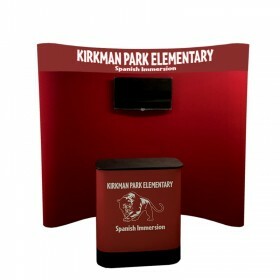 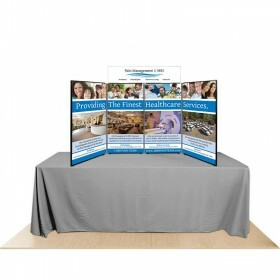 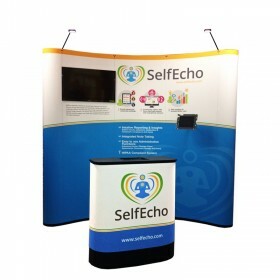 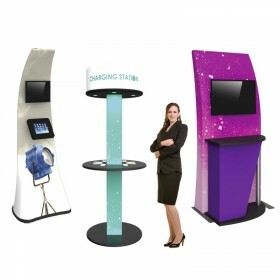 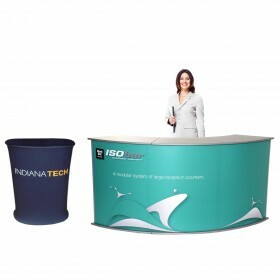 The Mandarin Waveline Media trade show display offers an ability to customize your booth space by adding and subtracting display sections all without the custom price tag. 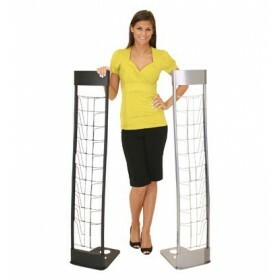 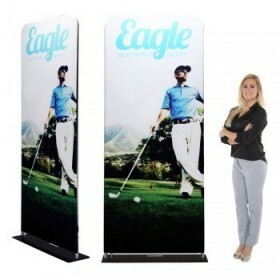 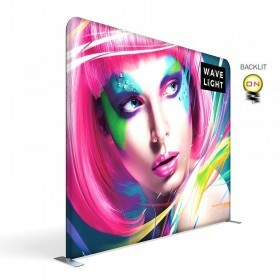 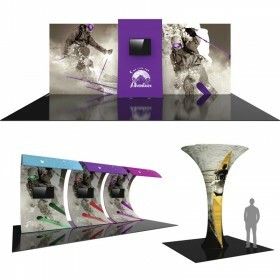 The 2-section Mandarin WaveLine Media tension fabric display series is all about. 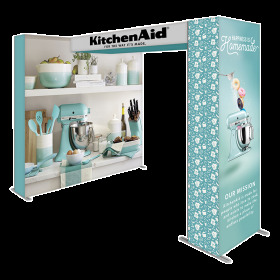 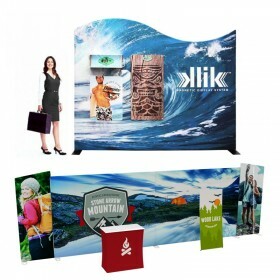 The Mandarin Waveline Media is a tension fabric trade show display that sets up within 15-30 minutes all without any tools. 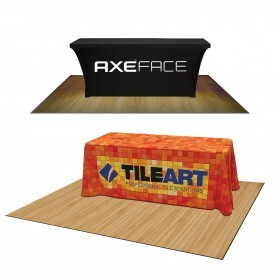 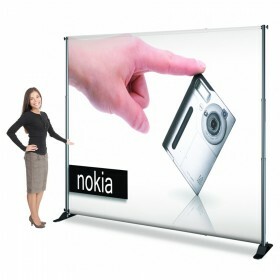 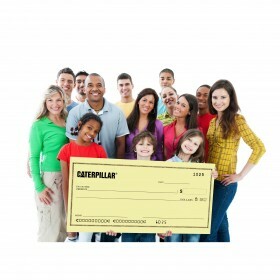 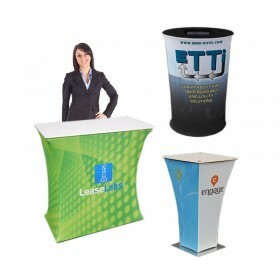 If creating a large trade show surface is what you are searching for then stop searching. 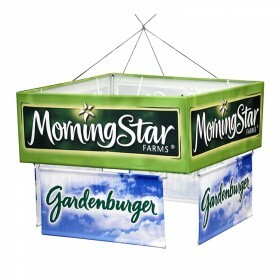 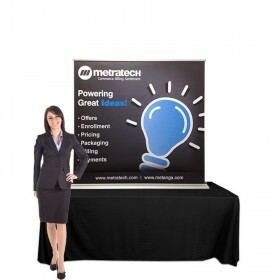 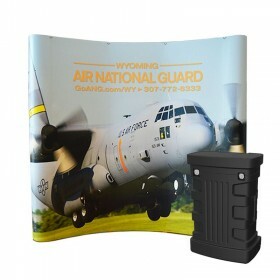 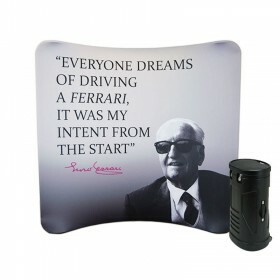 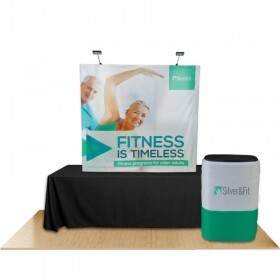 This tension fabric display is built with a simple and lightweight, yet strong, aluminum tubing which is completely concealed and hidden inside of the zippered wrinkle-resistant polyester fabric graphic print. 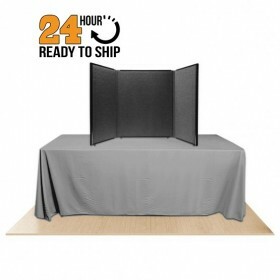 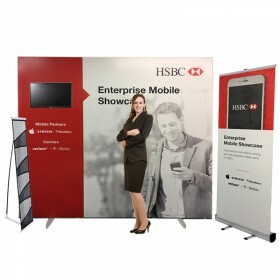 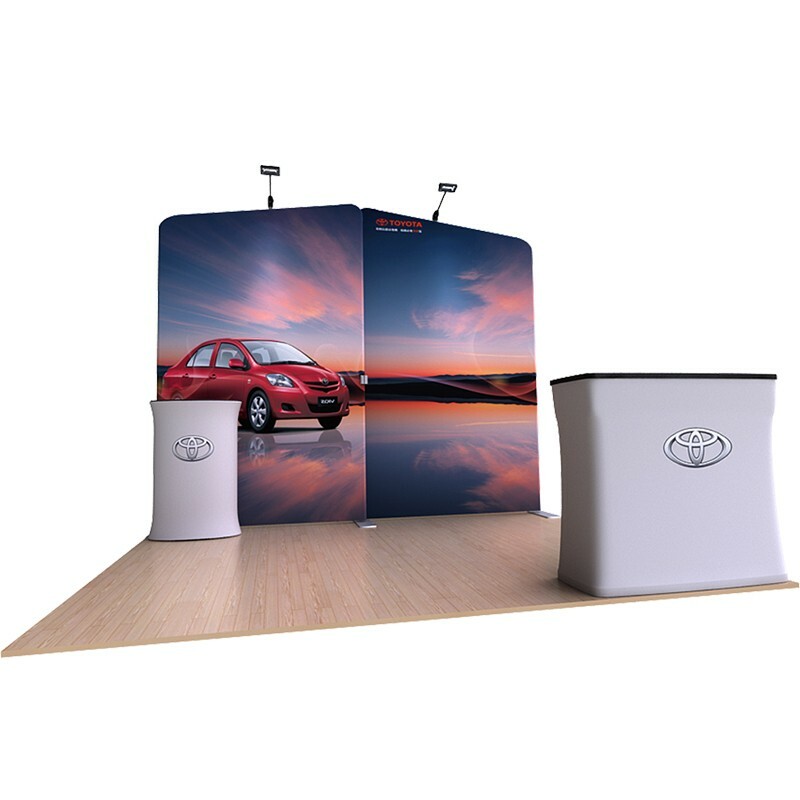 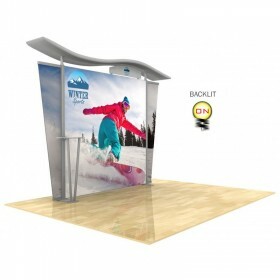 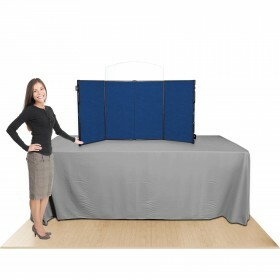 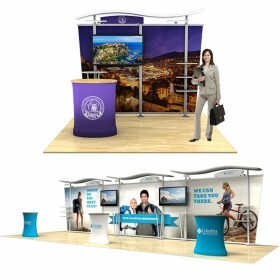 Get creative with you WaveLine Media tension fabric display setup by using only 1 section for smaller shows or all 2 sections for larger trade show booth spaces. 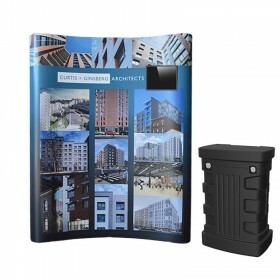 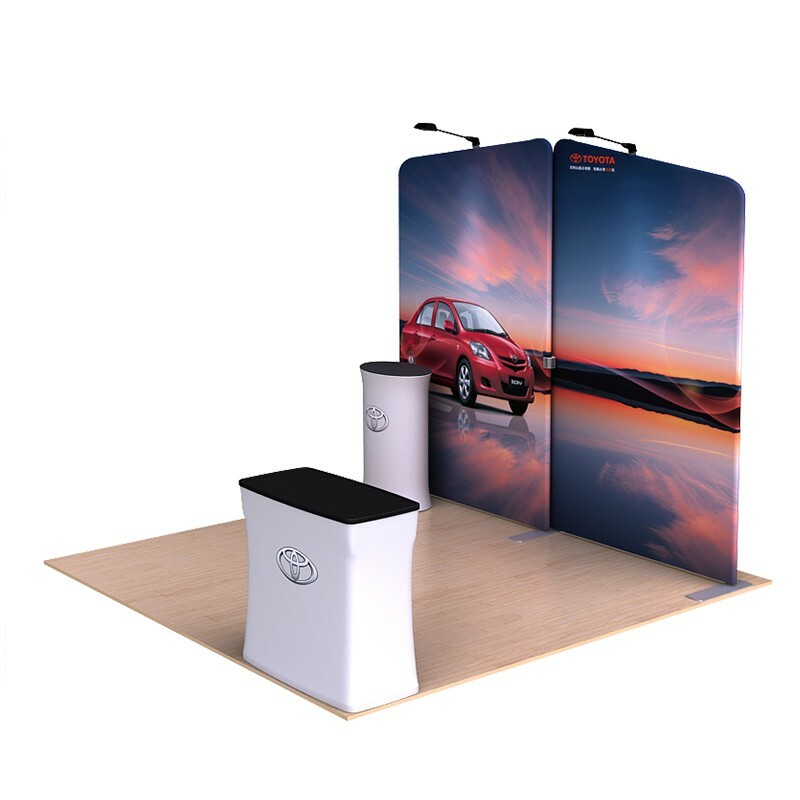 This tension fabric trade show display kit includes the aluminum hardware, printed dye sublimation graphics and a nylon carry bag. 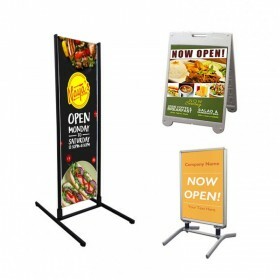 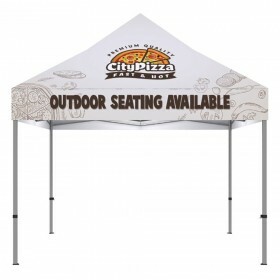 Included is single sided printed graphics, however, double-sided graphics (printing on front and back) is available - just call 1-800-723-2050 for pricing. 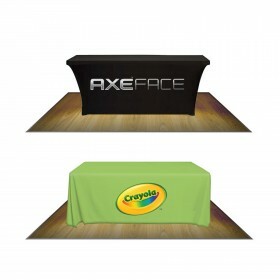 Optional items to increase the productivity in your trade show display space is to add the most popular and useful 39” Brandcusi Counter/Podium with custom matching dye sublimation graphic, or protect your new tension fabric display by upgrading to the compact shipping case cases along with a counter conversion graphic wrap, and make sure to add illumination by purchasing UltraBright LED Light fixtures. 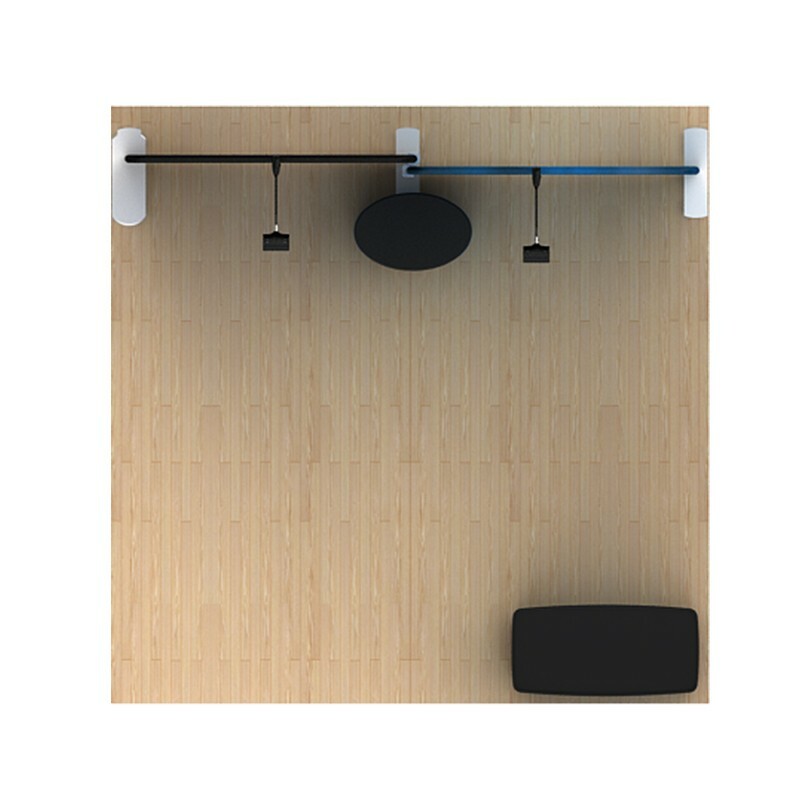 Monitor not included with the addition of the monitor mounting bracket. 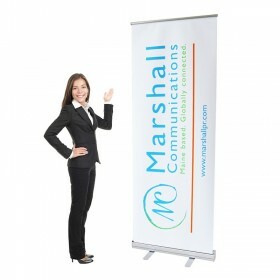 Assistance is available by calling 1-800-723-2050 to speak with one of our knowledgeable Image Consultants today!